Who doesn’t love Paris? Like many regular visitors to the City of Lights, I have a habit of arriving, settling into a boutique hotel somewhere in the 6ieme and staying put. I visit the Musée D’Orsay, I walk along the Seine. I spend time at Les Deux Magots and I sit people watching at Notre Dame. But I seldom leave the City and in many ways, that’s a shame. Like any great Capital City, there may be a lot to see without leaving town. But, to get a true flavour of France, you need to explore a little more than cosmopolitan and international Paris and venture out of town. 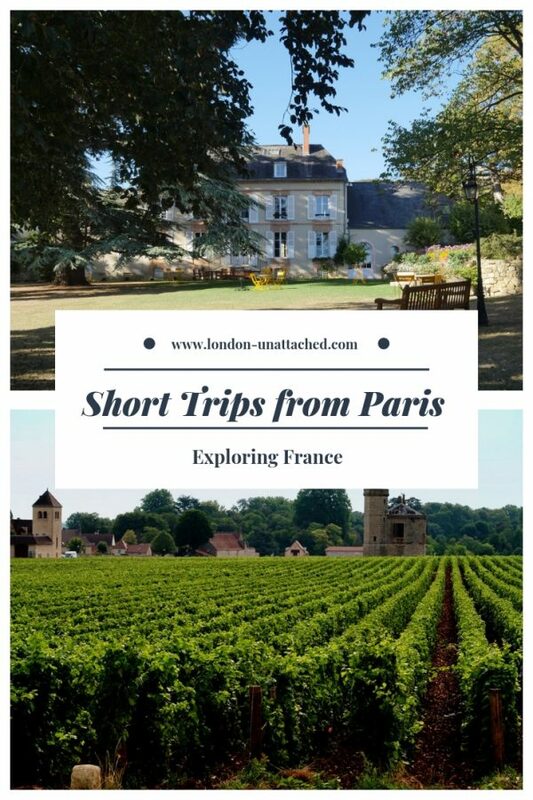 There are plenty of excellent places to visit an hour or so from Paris – and being able to visit the surrounding countryside makes the idea of road trips from Paris really appealing. Coming from the UK, I much prefer to hire a car in Paris when I am travelling in France. Having a right-hand drive car makes it much easier to drive on the ‘wrong side of the road’. It also means you can take advantage of cheap flights or train journeys and just pick up your hire car from the station or airport. I don’t like driving in big cities, so for me, it gives me the opportunity to combine a city and country break by hiring my car for half of my trip – and leaving it behind when I am spending time in Paris itself. Whether you opt for a day trip or for an overnight stay, once you’ve left Paris, there’s plenty to explore. 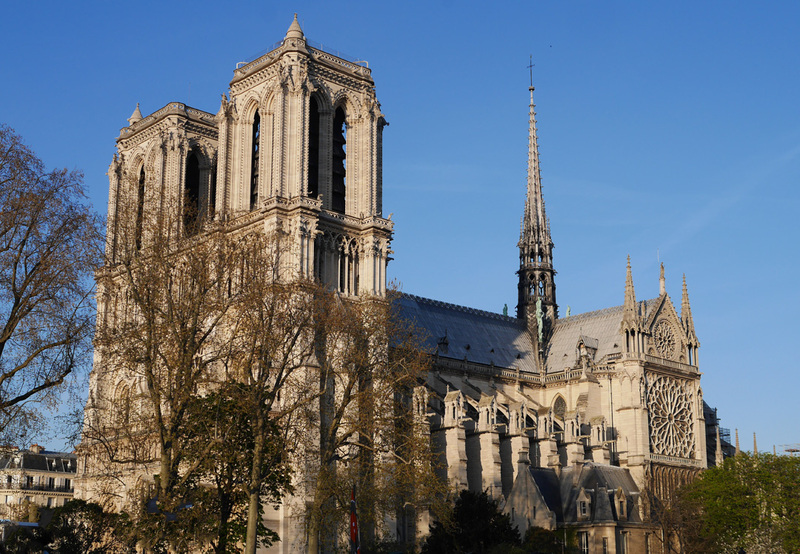 Here are a few ideas you might want to consider for a road trip from Paris. I’ve already spent some time exploring the Champagne region of France and I’m returning there in a few weeks to Aisne, a part I haven’t been to before. A beautiful part of France, there’s a UNESCO listing for the ‘Champagne hillside, houses and cellars’ that has been in place since 4th July 2015. The advantage of driving to this charming region is that you can really explore some of the special places you would miss if you travelled by train. Small villages like Hautvillers, the ‘Cradle of Champagne’ and home to the monastery where Dom Pérignon was based. He is sometimes credited with having discovered the champagne wine-making process in the 18th Century, though it’s more likely he simply refined and improved an existing method. 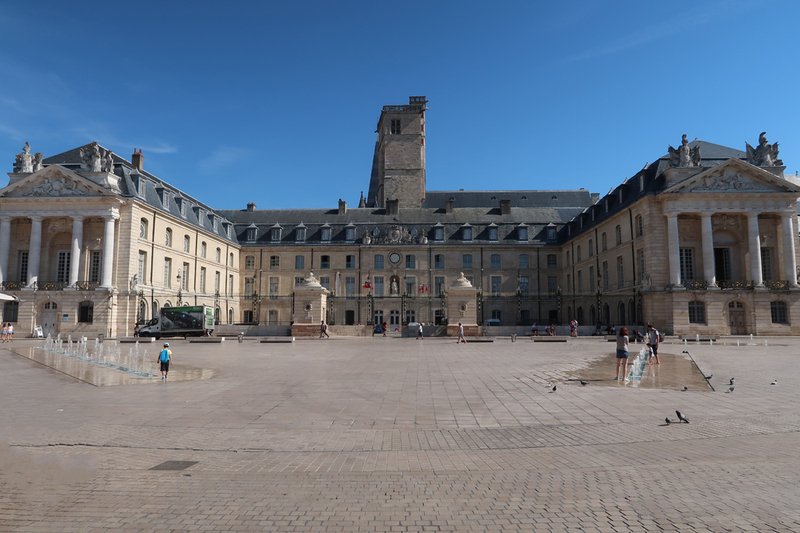 The city of Reims and the town of Épernay are the twin centres of the Champagne appellation, but many of the cellars and wineries and of course ALL of the vineyards are outside the metropolitan areas. Just over an hour and a half’s drive from Paris is Giverny, a picturesque village to the North East of the City. Monet lived in Giverny from 1883 to 1926 and the home and garden he created for himself there is very much evident in many of his paintings. Exquisite and well-kept gardens were used as the basis for his famed ‘water lily series’. Now the Fondation Claude Monet Museum, you can visit the gardens and the house and learn more about the life and work of Claude Monet. The village was also the source of inspiration to other Impressionist painters including Manet and Renoir, who met at Hotel Baudy in the village. It’s an easy day trip from Paris to Giverny by car, but if you choose to try to get there without your own wheels you will need to take the train to a nearby village and then take a shuttle bus. Exploring the sites of the great battles of World Wars I and II is something better done by car. The Normandy coastline is the site of the D Day landings where British, American and Canadian troops landed on June 6 1944. The significance, that this landing was the start of the liberation of Europe and the end of World War II. 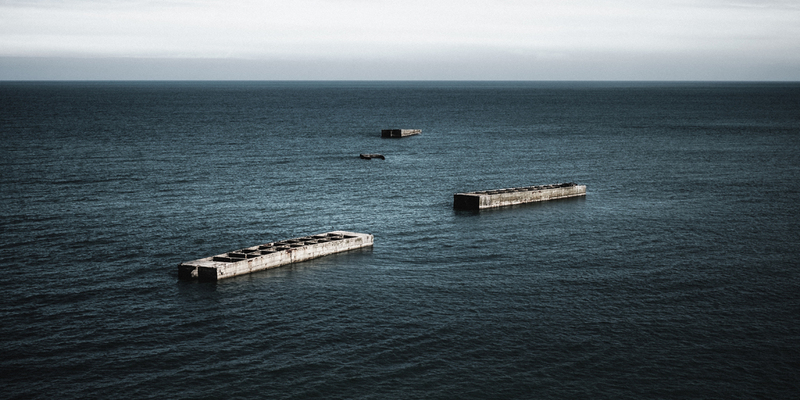 Visit Omaha Beach where you can see the original German bunkers and Arromanches’ artificial harbour. At Colleville-sur-Mer you’ll find the American Cemetery, the final resting place for more than 9,300 soldiers. To learn more, visit the Memorial de Caen where the multimedia museum provides an insight into the history of the war. The Somme is the part of France which was the main site of the trench warfare which embodied the First World War. Visit the graves of those lost in the conflict, see memorials to those who fought and explore the battlefields themselves. For an itinerary, if you are planning to drive yourself, try the services of Battlefield Tours who can provide self-drive routes and recommendations for accommodation and dining. There’s a lot to see in this region and it’s worth spending a few days exploring. Most of the sites do need some form of transport and the easiest solution is to hire a car and drive from Paris (which will take a couple of hours). Base yourself in one of the charming local towns and expect to spend plenty of time travelling around to make the most of your visit. 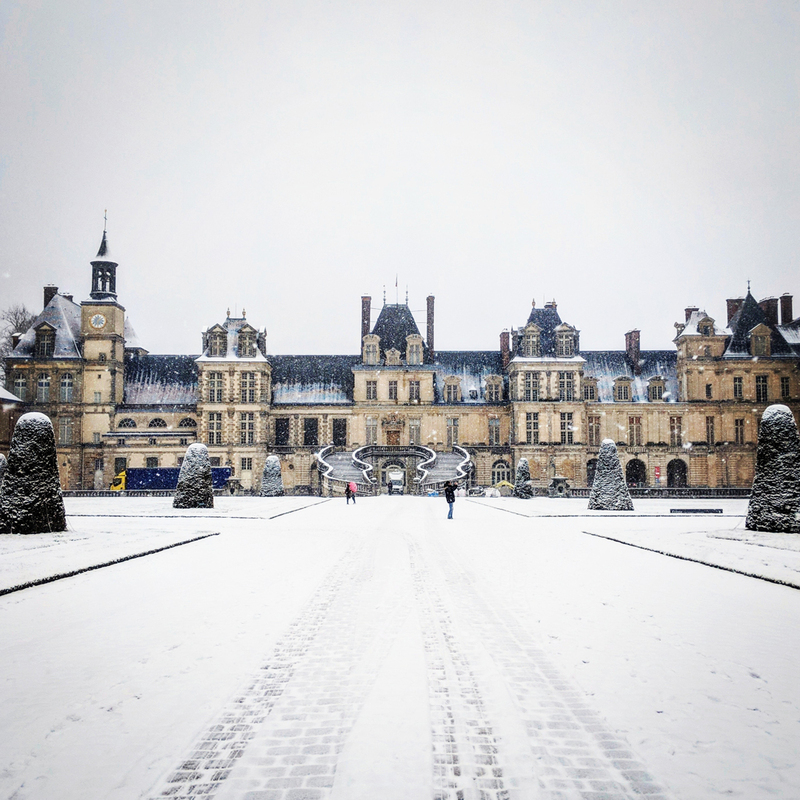 To the South East of Paris is Fontainebleau, a town best known for Fontainebleau Palace. 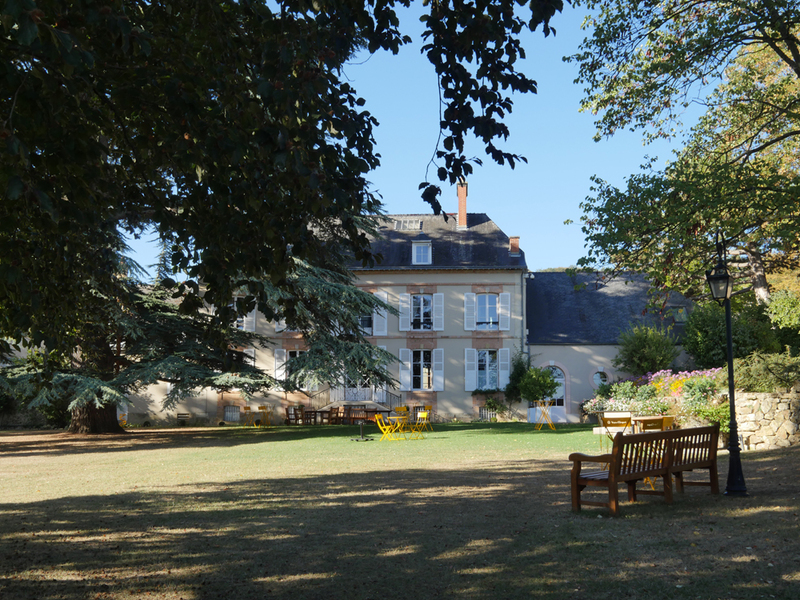 Parts of the Palace date back to the 1100s and the chateau is unique in having been continuously inhabited for over eight centuries. With a total of more than 1,500 rooms, there are 130 rooms now open to the public. You’ll find Marie Antoinette’s Turkish boudoir, Napoleon’s throne and the of Papal Apartment which was created in 1804 by connecting two adjoining apartments. Surrounding the Chateau is a Fontainebleau forest which is particularly famous for bouldering. French alpine climbers have practised there since the 19th century and it is said to be the largest bouldering area in the world. The forest is also home to Le Grand Parquet, a famous French equestrian stadium. 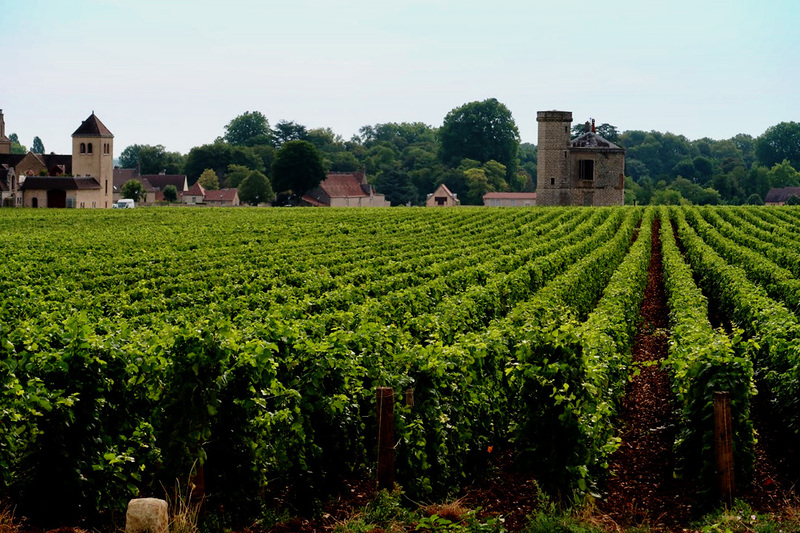 For a longer trip, Dijon is the capital of the Burgundy region, one of the premier wine-making areas. 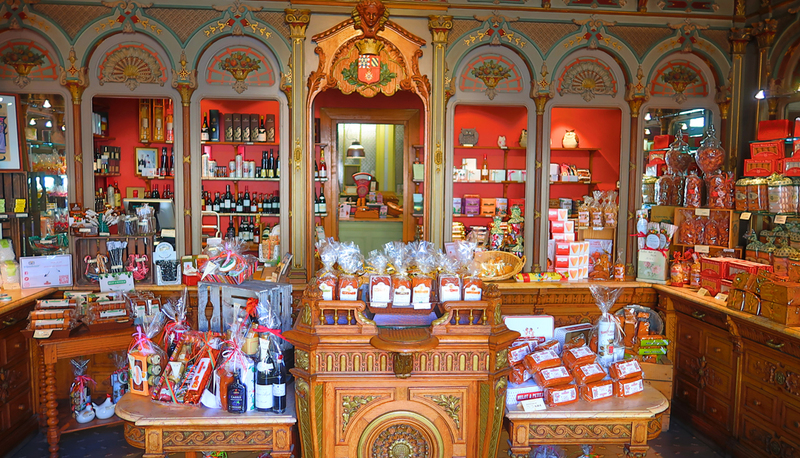 The city itself is famous worldwide for mustard but also has its own special gingerbread. It’s a charming place to spend a day or two with pretty streets lined with townhouses dating from the 18th century or earlier. 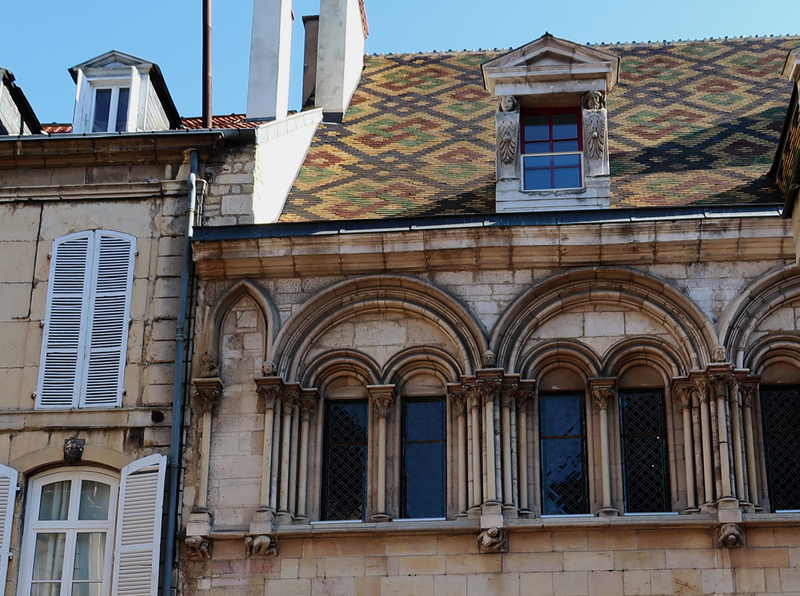 The architecture is particularly distinctive with ‘toits bourguignon’ – roofs made of glazed terracotta tiles in green, yellow and black arranged in geometric patterns. The home of a major gastronomic fair held every autumn, a new cookery school and gastronomy training centre are being built in a 6-hectare plot that was previously an old hospital and church. Right between the station and the canal, it will be perfectly located for locals and visitors alike. The distinguished 1787 Musée des Beaux-Arts, housed in the vast Palace of the Dukes, holds a rich collection of paintings, sculptures, crafts and antiquities. It will take you around three hours to drive from Paris to Dijon, but once there it’s definitely worth staying for a day or two. 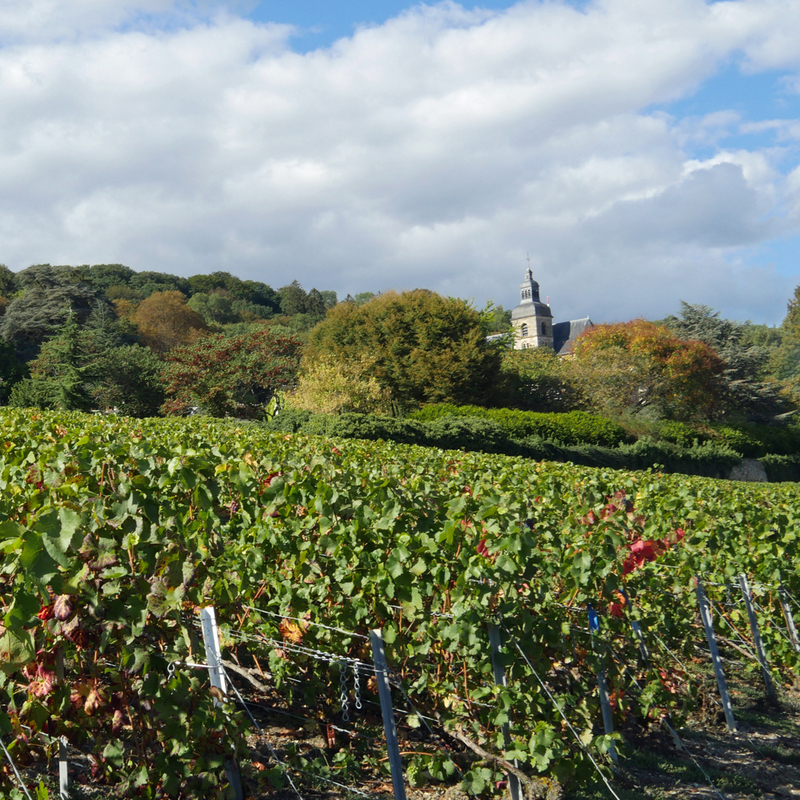 Drive from Dijon through some of the best-known vineyards in the world by heading for Santenay, the ‘routes des Grands Crus, or just explore nearby famous vineyards of Vosne Romanee, Nuit St Georges or Gevrey-Chambertin. With Discover Car Hire you can pick up your car from any of the three Paris airports, or from the main four railway stations, including Gare du Nord where you will arrive if you travel with Eurostar. You do need to make sure you have the appropriate documentation – if you are a UK driving licence holder you currently need to generate a special check code from the DLVA to confirm that you have a valid licence. There is a possibility that if we leave the EU you may also need an international driving permit. You can get one from any main post office for £5.50. Hiring a car for your road trip from Paris means you won’t need to worry about local regulations concerning your own car too. It can get quite complicated, for France you’ll need a warning triangle, snow chains in winter, a reflective jacket and an unused certified breathalyser! I much prefer the safety and convenience of driving a car that has the steering wheel on the right side of the road. And, avoiding the stress of driving through Paris while still getting to see the countryside is a real benefit. Why not try for yourself. Or pin this post for later. Great selection of suggestions for day trips from Paris, though I’d say that most merit far more than a day. I’ve not been to Giverny and Monet’s garden, somehow, so that’s high on my list for future France trips! So many great ideas here. 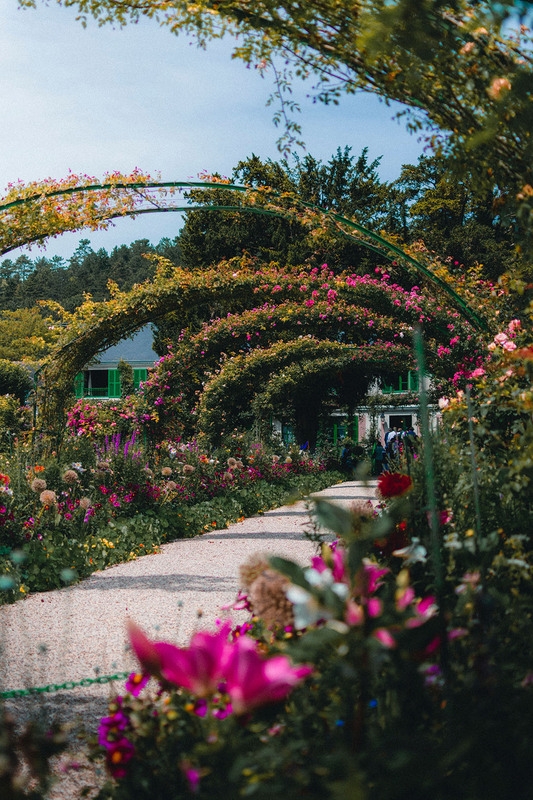 I would love to go to Giverny especially. I’m back in Paris and Aisne next week. I don’t think I’ll have time for Giverny – but tbh it’s probably better in a couple of months!